Who Will Go after the CAF II Funds? Last week the FCC announced the broadband guidelines that will be used to fund the Connect America Fund (CAF) Phase II filings that will be awarded in 2015. The FCC has set aside a little over $9 billion dollars of new CAF funding to be paid out of the next five to seven years. That’s five years for smaller recipients and up to seven years for some of the large telcos. The new broadband goal is that any landline broadband connection built with these funds must be able to deliver at least 10 Mbps download and 1 Mbps upload. This increases the speed from the old threshold from 4 Mbps download and 1 Mbps upload. This is a really low threshold compared to the recent experimental grant program where the FCC only funded projects that delivered at least 25 Mbps download in unserved areas and 100 Mbps in underserved areas. But setting the speed goal at only 10 Mbps download will enable rural telcos and cable companies to go after the funding if they are willing to use the funds to help to pay for extending their networks. The telcos can use DSL to satisfy the CAF requirements, but in order to bring that DSL to rural areas they are going to have to expand fiber in their networks significantly. Current single-pair DSL technologies can deliver 10 Mbps to only about 7,000 feet of copper. That is not as the crow flies, but rather as the copper is wired. That provides little more than a one mile circle around any given DSL distribution point (called a DSLAM). Rural cable companies that already offer speeds of at least 10 Mbps only need to string more coaxial cable, or if they are going to new neighborhood may need additional fiber as well. However, some rural cable companies still use the first generation of DOCSIS equipment and they might need a significant upgrade of their network plus a replacement of cable modems in order to meet the new speed requirement. Not unexpectedly, the large telcos are not happy with the increase from 4 Mbps to 10 Mbps. Many of them still deploy older generation DSL equipment with maximum speeds between 1 Mbps to 6 Mbps. But to meet the CAF requirements they can use newer DSL for the new customers and don’t have to necessarily upgrade the older ones. It would be a bit ironic if the farms around rural towns end up with faster DSL than is available in the nearby towns. We already know that AT&T and Verizon are trying hard to ditch their rural copper. Verizon already sold off most of their rural properties and wants to walk away from what they have left. AT&T has said that they want to walk away from “millions of lines of copper” by 2018 if the FCC will let them. Both companies want to replace landlines with wireless service, which costs more for a household and has severe data caps. So it is unlikely that these two companies are going to be seeking much CAF funding. But there are a number of other large telcos who can’t walk away from copper because that is basically all they own. Companies like CenturyLink, Windstream and Frontier will be operating copper networks for many years to come. CenturyLink and Windstream are both expected to be major players in this second round of CAF funding. 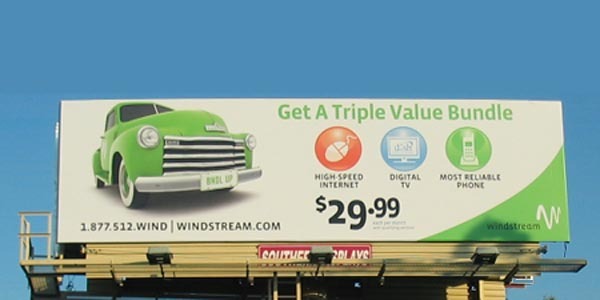 Both Windstream and CenturyLink have complained about the new 10/1 Mbps requirement. I think this is because it is going to force them to do real upgrades to get the funding. In order to deliver that much bandwidth to rural areas they will have to move DSLAMs much further out into the field, and that is going to mean building fiber to connect to the DSLAM cabinets. And of course, typically the further away you get from a town, the fewer customers are on any given route to help pay for these new investments, especially the parts that the CAF isn’t going to fund. One of the most interesting aspects of the new CAF fund is that that the subsidy can go to anybody who can bring the bandwidth. And so these large carriers must compete for the funds against players like electric cooperatives and wireless ISPs (WISPS). The funds are being awarded by a process called a reverse auction, because the company that asks for the least amount of support per customer in a given area will get the CAF funding. The only major requirement is that a CAF winner has to be able to deliver the required data speeds plus voice over the whole area to get the funding. They can’t just pick off pockets of customers like they might with a normal overbuild business plan. The FCC is hoping that the CAF funding is going to bring broadband to at least several million more homes. But because of the reverse auction it’s really hard to predict how effective the funding will be. Further, if the bigger companies figure out that it’s not worth taking the funding, then much of the funding might go unclaimed. The old High Cost Fund was based upon providing service to rural places that had high costs by definition. If you built a network in one of the designated high cost places you got the subsidy to help keep it operating. But the reverse auction adds a lot of uncertainty to the process. It’s certainly possible that the large telcos might decide that the whole process is too risky to worry with and could send the FCC back to the drawing board.